There is one Indians pitcher who needs no introduction: Trevor Bauer. With his 69 (nice) days of giving, trolling people on Twitter, and his drone mishap from 2016, Trevor Bauer might rub people the wrong way. Bauer, however, is one of my favorite Cleveland Indians. There is no doubt that Bauer is one of the hardest working players in the game right now. He spends his off-seasons working at Driveline Baseball perfecting his craft and tinkering with his pitches. He was in the middle of his best season yet and was in the conversation for the Cy Young Award for the American League. Trevor was struck by a line drive back to the mound. The result was a stress fracture in his right leg. It was a big blow to an Indians team that was in the hunt for clinching the Central Division and trying to gain home field advantage. With the Indians clinching the Central on Saturday, the club is trying to solidify the rotation and bullpen assignments for the post season. This is where Trevor Bauer comes back into play. Trevor has been non stop in his rehab work trying to resume the stellar season that we has had so far. He was seen in the outfield throwing with a boot on early in his rehab trying to keep his arm in shape. On Saturday, he threw a 40 pitch bullpen off the Progressive Field mound, which is a very encouraging step for Bauer. If Bauer can make it back this season, he could be the secret weapon this team needs. While Bauer’s exceptional talent may not make him a well kept secret, his addition can make or break this team. With an Indians rotation that boasts Corey Kluber, Carlos Carrasco, and Mike Clevinger, Bauer could serve as the 4th starter that can help add depth to a rotation that will most likely be facing the Houston Astros. That is, however, if he can be stretched out in time. This will be the determining factor. If Bauer can be stretched out, he could be that impact starter the Indians need. If he isn’t ready to start, it might not be a bad thing either. While the Tribe would lose some rotation depth, Bauer could serve as a multi-inning weapon out of the bullpen. The Indians bullpen has struggled this year, which forced the club to make a trade with the Padres to bring in Brad Hand and Adam Cimber. With injury concerns for Andrew Miller this year and Cody Allen finding his inner Joe Borowski, Bauer could serve as the stabilizing force in the bullpen that the Indians have been missing this year. If all goes according to plan, Trevor Bauer will be ready when the playoffs start. 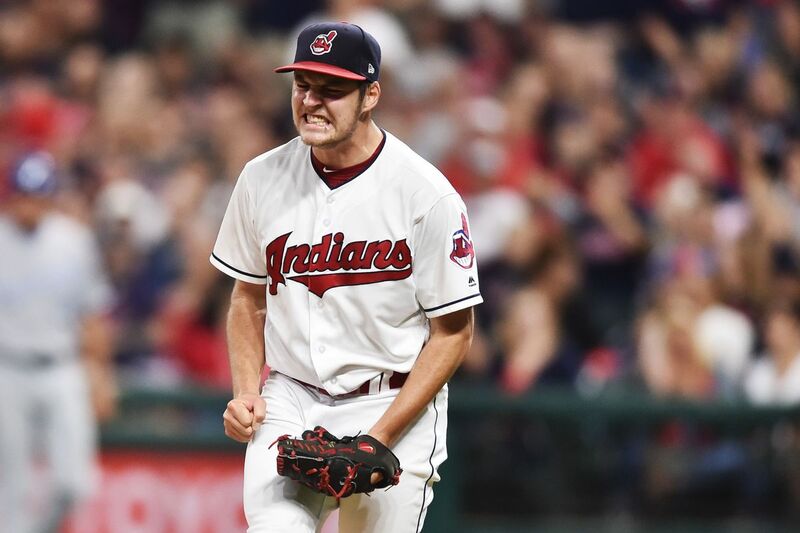 Whichever role Trevor Bauer is in, he could be the most impactful player that this team has this postseason. Previous Post: The Best Story in Baseball This Year Is….